Propagate Ventures is on a mission to scale agroforestry into a cornerstone of agriculture. We work with farmers to design and install tree-crop systems that work in tandem with existing farm operations. Together with brands and investors, we build certainty in supply and bridge project level capital needs. Our turn key solution for agroforestry deployment unlocks regenerative agriculture as an asset class. This article is a summary of Regenerative Capitalism written by John Fullerton and Capital Institute, thought leaders in the regenerative economy. 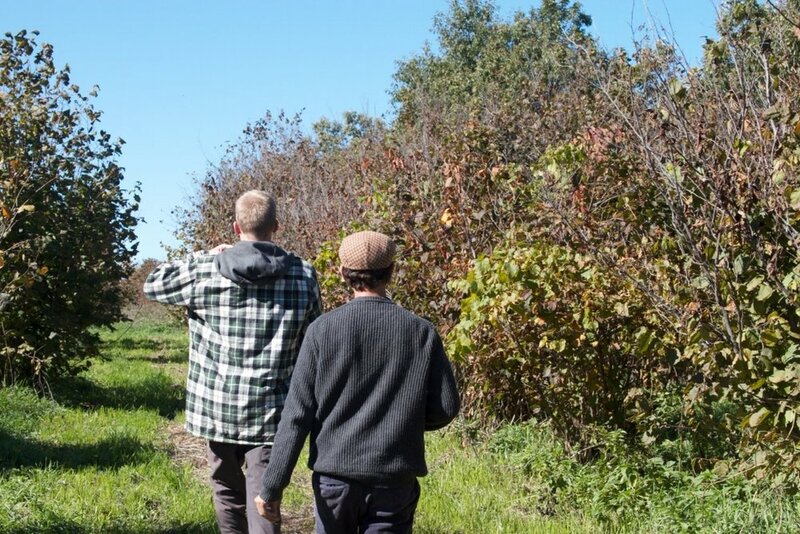 At Propagate Ventures, we’ve come across intersections with Capital Institute, from eating and doing work at the Viroqua Food Cooperative (featured in their field guide), to closely following the work of agricultural thought leaders Darren Doherty and Allan Savory. We’d like to extend a sincere thank you to Mr. Fullerton and Capital Institute for being a pioneer in the regenerative economy. Here, we provide commentary on regenerative capitalism and examine it through the context of Propagate Ventures. The objectives and mechanics of capitalism are not set in stone. Market theory is a powerful analytical framework that governs how we respond to monetary incentives, but neoclassical economics, like physics or forest ecology, is limited in its scope to describe the world around us. Today we will be calling into question the end goals of 20th-century capitalism. Let us be very clear that this discussion has nothing to do with socialism. It has everything to do with the evolution of how we use and move both capital and non-financial capital. The anthropocene is upon us. Shouldn’t we now focus on increasing the overall well-being of society? Propagate Ventures is immersed in the asset classes that is multi-species, regenerative agriculture. Our thesis consists of catalyzing enterprises that improve the health of the land and the people that inhabit it. A tenet of our strategy is to not pursue payments for carbon and ecosystem services: requiring our partners to be financially sustainable serves to decrease risk. Notwithstanding, we firmly believe that life has much more to offer than dollars, and the way we do business increases human and environmental health. In 2015, John Fullerton released a comprehensive, approachable and realistic white paper entitled, Regenerative Capitalism: How Principles and Patterns Will Shape Our New Economy. In 2001, Mr. Fullerton left JP Morgan after nearly 20 years as an investment banker. He went on to found Capital Institute, a provocative think-tank in regenerative economics with a deep understanding of mainstream finance. For those that have not yet had the chance to read this white paper, perhaps Mr. Fullerton’s take on value creation will serve as an impetus in understanding the end goals of capitalism as it operates today. We will walk through Regenerative Capitalism as it is discussed in Mr. Fullerton’s white paper, and discuss its intersection with our own work as Propagate Ventures. Economic theory has not finished evolving. Adam Smith’s Invisible Hand, 1776: if individuals pursue what is best for them, society will benefit as a whole. This is true given a large number of small individual actors and perfect information, but large non-human corporate entities did not exist then as they do today. Always pressing toward a scale-derived competitive advantage, large corporations have fine-tuned the process of extracting value and aggregating it at the top of the economic pyramid, all while externalizing costs. Society now lacks proverbial working capital and the funding for R&D, which makes it increasingly more difficult for the remainder of the economic pyramid to improve their quality of life. All the while, the climate is changing, our planet is getting hotter, and our ecosystems are collapsing. Given our newfound understanding that we humans are inseparable from the natural world, let us take the liberty to think beyond Keynes and Friedman. We need to re-articulate what it is that we truly desire out of capital-ism. Mr. Fullerton proposes a Copernican shift away from the ends of growth and increased shareholder value by any means necessary. He offers: “The purpose of a Regenerative Economy is to promote and sustain human prosperity in an economy of permanence.” Permanence is more empowering than anything else we’ve dreamt of. Propagate Ventures works to move capital towards agricultural enterprises that are inherently regenerative. At the surface, a regenerative farm yields a sustained and equitably distributed income (profit), and ups the amount of permanent plant matter (biomass) over the entire acreage. A farm that is regenerative is therefore one that increases both biomass and profit over time. That farm will distribute such profit and biomass in accordance with natural patterns of ecosystems: profit and biomass will not be concentrated in location or time of year, and will circulate in a self-perpetuating system. As you may have gathered, this is not a quantitative analysis. Take an opportunity to open your front door and look beyond that P value. Propagate Ventures works to allocate capital where it can be best used to create value in a farm ecosystem. John Fullerton has given us 8 characteristics of a Regenerative Economy. We will describe each, and relate it to Propagate Ventures. At the end of the day, humans are not separate from nature. There are no true externalities. If we disconnect ourselves from our social environment, we make misguided decisions. Humanity, country, state, county, town, neighborhood, household, and person: each is part of the former. What we do to one, we do to all. We are part of a larger whole, and our actions have ripple effects throughout that whole. A stone thrown into a still pond will first move only a small amount of water, but the waves will eventually reach the pond’s distant shores. The ripples of our actions move horizontally to our equals, and vertically both to the climate that sustains (or breaks) us and to the life that we express our dominion over, such as managed forests, crops, and livestock. The size and direction of those ripples depend on the size and direction of the stone we throw into the pond. In line with Fullerton’s central thesis of regenerative capitalism, we must make decisions that increase the resiliency of the system we live in. We must make decisions at an appropriate scale: entities with larger scope should stray toward making decisions that smaller entities cannot address. A very tangible example of pervasive disconnect is the 2008 subprime mortgage crisis. When one person defaults on their mortgage, that is the individual’s problem. When tens of thousands of people default on their mortgages, and the banks have bundled their debts into AAA-rated securities, that becomes the bank’s problem, and consequently the world economy’s problem. Had mortgages in Phoenix been in a “right relationship,” in the hands of local debt holders, such speculation would never have run out of control. Chestnuts are a calorie-dense, complex-carbohydrate tree crop. The process of growing them sequesters carbon and mitigates soil erosion. Paraphrased: You need oxygen to live, but if you think life is all about breathing, it very well may pass you by. Even if our nomenclature varies, we all recognize different types of capital. When we do a favor for a colleague or client, we build “social capital.” When we invest in training for our employees, we build “human capital.” We are fixated on financial capital, however, because it is the most liquid, and it is the easiest to measure and store. Most of us don’t apply a discount rate to good deeds, and we can exchange money for most other types of capital. Viewing wealth holistically involves actively valuing the accrual of non-monetary assets. Most of us already do this. We value time spent with our families and the knowledge we gain from reading, and we do not consciously put a price on those things. Continuing to think in wholes, it is completely reasonable to extend our appreciation of things that aren’t money from our personal lives to our professional lives. Financiers would do well to systematically measure and trade non-financial capital. Models such as time banks are fascinating. Can we graph the supply and demand of social capital? Is there a discount rate for it? As financiers, we must view and understand the regenerative economy in a holistic sense. Though it is tempting to value natural capital in dollars, we would drastically undervalue assets such as ecosystem services. We could monetize the carbon in a farm’s hedgerows, but those bands of trees and shrubs also mitigate soil erosion and nutrient runoff from farms. That consequently maintains crop yields and improves water quality downstream: how many dollars are those results worth? Suddenly the original carbon payments seem inadequate. In addition, can we really substitute physical “stuff” for cultural capital? Can we shift from valuing things to valuing experiences? What quantity of Led Zeppelin memorabilia would you agree to receive in exchange for never again listening (to the cultural capital that is) their music? The same concept holds true for every other thing we have in our homes, including the Maserati in your garage. Do we enjoy the asset itself, or the status it represents? Could we find a substitute that does not directly convert dollars into carbon dioxide? Dismiss the concept if you like, but try counting your money while you hold your breath. There is no silver bullet that will convince Wall Street to look beyond, beneath, and behind the dollars, but we have to start somewhere. Transforming the financial sector to explicitly value non-monetary assets may be the great work of our time, but our first step as Propagate Ventures is to build a competitive marketplace that implicitly values natural capital. For the time being, price premiums from organic and grass-fed products, along with stacking multiple enterprises on the same piece of land will serve to embody the positive externalities of ecologically-sound food production. Consumers are generally more willing to pay for products that are good for their own personal health, even if they overlook products that are just green. At the end of the day, however, are human and environmental health really so different? We’re leading with regenerative projects that that can compete with the extractive status quo. Video killed the radio star. Kodak was a goliath film manufacturer through the late 1990’s. They had a near monopoly on the photographic film market, so why would they do anything besides market the best film? Why stray from a seemingly flawless razor/razor-blade model? Kodak became blinded by its own success. Multiple entrants in the digital camera market swiftly eroded their value proposition, and the company filed for bankruptcy in 2012. This phenomenon, when an unanticipated substitute for an established product sees rapid success, is known as disruptive innovation. Interestingly enough, a Kodak engineer had invented and shelved a digital camera in 1975. The irony is staggering. Eat your lunch before someone else does. A regenerative economy will consist of waves upon waves of localized disruptive innovation. We must move from corporate actors that compete on economies of scale, to localized, responsive business networks that create goods and services that people actually need. Let’s start replacing Coca Cola with organic apples and car dealerships with locally-owned bike shops. Humans are innovative and entrepreneurial. We may not be genetically different from the homo sapiens that walked the earth 100,000 years ago, but we now have books and the internet. Let us make good use of them. Multi-species, organic agriculture is infinitely more context-specific than is a conventional cornfield. The whole point of monoculture corn is that it’s highly replicable: when you destroy all soil life with agrotoxins, you are left with your own centrally-planned economy, at least until nature starts becoming entrepreneurial. Farms that are built within their social and geographic context are much more resilient in the face of global economic instability. Grass-fed beef producers in Wisconsin are less affected by soy prices in China than are their commodity-producing neighbors. Propagate Ventures works with farmers that are immersed in their own communities, and we espouse a 21st-century Yankee ingenuity. Everyone deserves a fair shake at life. When we know where our next meal is coming from, we afford ourselves the mental bandwidth to move beyond subsistence. As you read, there are children on the streets of Mexico City and Cairo selling chewing gum and souvenirs. Some of those children likely have higher cognitive and creative capacity than we do, but they were born into poverty. Mr. Fullerton says it best: “Unleashing the unique potentials of the millions of individuals in these disempowered groups would unleash a tidal wave of vitality undreamt of in current economic theories.” The ethical case for healthcare, education, and access to capital aside, lifting the world’s poor lifts society as a whole. Muhammad Yunus and Grameen Bank make for a timeless success story in regenerative economics. Access to capital changes lives. This concept holds true in both the developing world and in the United States, in regard to our country’s underserved demographics. Grameen Bank provides small loans to woman entrepreneurs, who exhibit repayment rates of nearly 100%. Forgive the generalization, but the women we have worked with as Propagate Ventures have been more honest, dependable, and realistic than the men. Gender equality is much more than a check box. Let us pivot from access-to-capital to equity: a tenet of Propagate is to provide farmers with a path to equity. In our context, empowered participation has much to do with land ownership. Last October, we met with Joel Salatin of Polyface Farms. Joel and his family have been farming regeneratively since 1961. In that year, the price of an acre of land was $90, and calves sold for $30 per hundredweight, giving us a ratio of 3:1. Today, an acre of land costs $6,000 and the same calves sell for $120 per hundredweight, for a ratio of 50:1. (Fields of Farmers, Salatin, 215) What this means is that it is extremely difficult to cash-flow mortgage payments with an agricultural income. The purchasing power of the upper echelons of society has increased, which has shifted out the demand for land. At the same time, industrial agriculture dumps artificially inexpensive food into the marketplace, shifting in our willingness to pay for healthy food. Today, we also spend half of what we spent on food in 1960, as a percentage of income. In conjunction, these phenomena make it extremely difficult for those that work the land to also own the land. Imagine dedicating your career to growing a business and pouring your soul into its assets, but never receiving stock options. That’s what much of organic farming has turned into, and that’s not right. The average age of the American farmer is 58, and 93 million acres of farmland are expected to change hands by 2019. The road to equity for the next generation of farmers is paved with innovation, and Propagate Ventures is here to be a part of that journey. In the age of Applebee's and Walmart, we crave authenticity. The appeal of local food and craft breweries has the attention of today’s biggest corporate players. The local food movement and organizations like Slow Food have people looking to nutrient-dense, culturally-appropriate sustenance. Supporting independent businesses creates what economists call the local multiplier effect: when profits are allocated to small, decentralized actors, those people turn around and spend their newly-acquired disposable income, circulating that value once again. The opposite occurs when we buy goods from chain restaurants and big box stores. It is no secret that the business models of those entities involve selling replicable, generic goods, paying local employees minimum wage, and sending the profit back up the chain. Efficiency and scalability are absolutely necessary and are a perfectly acceptable competitive advantage to pursue, but in excess, they exhibit diminishing marginal utility in a regenerative economy. Businesses that do not honor community and place often find themselves in a state of confusion when they find their business plan to be less scalable than previously imagined. EuroDisney, the theme park just outside of Paris, has largely been a flop. Planners expected old-world Europe to be thrilled by a flashy American behemoth in the same way that the Florida tourists are. The French weren’t impressed with quick hamburgers, and were most distraught that the park didn’t serve wine. Walmart has likewise had a rough go in Buenos Aires: urban Argentines aren’t inclined to drive 30 minutes to buy paper towels in bulk, when they can buy everything they need at neighborhood bodegas. Firms can honor community and place without completely reinventing themselves, and not all business need be localized. When acting abroad, we must view ourselves as complements to the local culture, not substitutes. Here, Mr. Fullerton offers some very valuable insight: if you’re good at what you do, don’t change what you do. Instead, just go where you’re wanted. Expand to where you’d be most useful. Americans love Ikea’s value proposition, but the store is distinctly Swedish, and Maison Kayser is a chain of French bakeries in New York City that is French to the bone. Connection to our homeland is good for us in the same way that eating local honey (made from local pollen) alleviates seasonal allergies. Agriculture is how humans interact with the earth beneath our feet, and Propagate Ventures believes that decentralized, place-based agriculture is the way forward. Scalability is important in our models, but each piece of land is inherently different. We must optimize for scalability, but not prioritize it over all else. Facebook is a connectivity tool that creates an edge effect. Though we often find ourselves deafened by our news feed, social media allows for a type of interaction between classes that did not occur prior to its existence. Public-private partnerships are a prime example of the edge effect. An organization with the funding and social mission of an NGO, and the distribution network of Coca Cola would lead to some surprising revelations. On farms, hedgerows and windbreaks are a timeless example of manufactured edge. Rows of trees slow desiccating winds, harbor beneficial insects, and increase soil water retention. Different types of plants serve different functions. Silvopasture creates constant edge. Not only does a system like this yield beef and timber, but it yields beef that has not been sun-stressed and early-year cash flows make timber plantations more viable as a land use practice. Propagate Ventures works at the intersection of finance and regenerative agriculture, otherwise known as economy and ecology. This allows us to be in a unique position, because few other actors are deeply connected on both fronts and are working to move beyond sustainability. Our edge effect repeatedly appears to be very robust. Our work increases the financial fluidity and acumen of ecological agriculture while increasing the ecological awareness of the financial sector. Synergistically, this makes for the potential to both transform the way we use land and to shift finance into a more sustainable modus operandi. A healthy economy rapidly circulates value through its inhabitants just as a healthy human pumps oxygen-rich blood quickly through the body. A sedentary lifestyle results in a myriad of health risks including depression, diabetes, colon cancer, high blood pressure, obesity, gout, osteoporosis, and anxiety. A stagnant economy results in the same type of systemic degeneration. The circulation of value is the lifeblood of an economy. We must pay attention not only to where our money is allocated, but to how many times it creates value. So far, we’ve worked through the money multiplier effect when dollars are spent at small businesses, and noted that access to capital is high-octane economic fuel. Now, what of the other types of capital? A circular economy is one that has a robust circulatory flow not only of money, but of materials. There are no externalities, and there is no “away.” There is only underutilized value that creates burden and not benefit. Nature produces no waste, and in an economy designed and aligned with the workings of the natural world, one industry’s excess will be another’s inputs. Cradle to grave is an well-known phrase that refers to the life cycle analysis (LCA) of a business’ good or service. Cradle to Cradle (C2C) is just what it sounds like: it is a mindset and certification that designs for industry to move toward endless reusability and zero waste. C2C applies a progression and an end goal to life cycle analysis. Currently, industry is commended for measuring its footprint and picking the low hanging fruit, but Cradle to Cradle transforms production and instills the objective of doing more good as opposed to being less bad. Vermont Compost Company, in Montpelier, Vermont produces some of the highest-quality compost on the planet. Thousands of chickens pick through and turn the compost. The company sells both eggs and compost. From farm to plate, around 40% of the food we produce in the United States goes to waste. Food Maven, out of Colorado Springs, is an online B2B marketplace that redistributes the grocery industry’s excess. They do so by allowing restaurants to purchase food that would otherwise be thrown away, at a reduced price from large-scale distributors. Click here for a video segment on Food Maven. GDP is an insufficient measure of social and economic well being. If a “developing” nation’s GDP spikes due to increased oil exports, we cannot honestly and in good conscience tie that to the prosperity of the common man. In addition to tracking GDP, we must pay attention to the nuances of value creation: the circulation of money and materials is an indispensable measure and indicator of wealth and health. Propagate Ventures provides robust and distributed access to capital, which is an integral part of robust circulatory flow. We work to help capital reach enterprises that capture value and those that weave value into the circular economy. From chickens to crickets to hogs, we recognize that regenerative agriculture extends beyond grass-fed beef and silvopasture. Capturing energy that is currently being wasted, and using it to create new value, per the principle of robust circulatory flow, is a cornerstone of the regenerative economy. Steering an economy is like riding a unicycle: we must stay in motion to remain upright, we manage uncertainty in real time, and overcorrection in any one direction leads to a crash. We’ve largely allowed ourselves to become blindly obsessed with rates of return on financial capital. When we strive for efficiency and nothing else, ignore context and qualitative information, we crash and burn. When we have a small number of massive banks that are too big to fail, and financial risk is concentrated with a small number of actors, this decreases the resiliency of our system. Corporations may perfect economies of scale, but their disconnection from feedback causes concern. When the misallocated and pent-up energy is suddenly released, chaos ensues - this is what causes earthquakes, so why would we apply the same logic to the architecture of our economy? This shifting of financial tectonic plates destroys livelihoods at all levels of the economy, and financial crises, like earthquakes, are a correction mechanism. In rebuilding our financial system, we must design for shock. Land is much easier to change than people are, and land and financial planners Allan Savory and John Fullerton both stress that we must change the way we make decisions before we change the way we do business. In regenerative capitalism, that involves a banking system that is diverse and distributed. This involves valuing small banks and financiers that are immersed in their communities, as opposed to idolizing those that are too big to fail. Propagate Ventures circulates capital through an ecologically-balanced, human-scale agriculture system. Conventional agriculture in The United States places the efficient production of corn and meat above all else. The objective is to grow as much corn as possible with the smallest amount of monetary inputs. Margins are razor-thin, so the latter is paramount. The system is regulated with pesticides and tillage, and the ecological costs of those activities are externalized. Climate change is bringing hotter and drier weather to much of the world: corn roots don’t grow very deep, and like an imbalanced financial institution, growing one crop is susceptible to the shock of drought and pests. At that, like a poorly-diversified portfolio, a field of commodity corn is vulnerable to volatile commodity pricing. If left unmanaged, such a monoculture cornfield will fade away and the land will return to grassland and subsequently to savannah or forest, which are systems that self-regulate into balance after millions of years of design. Regenerative agriculture mimics native ecosystems, and management works to simply steer the system to provide for humans. “Small is beautiful,” says E.F. Schumacher, but how small is a human-scale farm? That largely depends on what the farm is producing. Micronutrient-dense low-calorie vegetable farming can do just fine in urban and suburban yards, while calorie production usually requires more acreage. With few exceptions, the ratio of human-digestible calories to acres is a good indicator of farm size: 100 acres of kale in New York’s Hudson Valley would constitute a very large farm, while 100 acres of chestnut and grass-fed beef silvopasture would be much more reasonable. Propagate Ventures focuses on calorie-production, because the salad economy will not feed the world. The farms that we work with are balanced in both their ecology and size. Let us not fear failure. The past 200 years of innovation and technology have brought unparalleled prosperity, but let us not forget that industrialization has emerged with borrowed capital and on borrowed time. Sustainability pays the interest on that loan, and regeneration pays the principal. Now, we must lean into the winds of 20th century capitalism and write the future of humanity. We must continuously work towards our future, and today build off of Capital Institute’s thought leadership and steadfast dedication to sustaining human prosperity in an economy of permanence. What this looks like in real life are thriving businesses such as the The Viroqua Food Coop and Organic Valley. The Driftless is a rural hotspot of cooperative businesses and organic farming. Steep, rolling hills have given rise to decentralized small-scale agriculture and the culture that created Organic Valley. The Driftless is characterized by happiness and prosperity, and the economy works well for the common man (and woman, of course). Propagate Ventures maintains an unwavering commitment to a truly regenerative economy. We identify profitable businesses that inherently yield non-financial benefits such as ecosystem services and social mobility. Our niche is the robust circulatory flow of financial and non-financial capital, that is in alignment with the wills and desires of all stakeholders. We shatter the trade-off between economy and ecology, such that everyone does good while doing well. Finally, we’d like to express the deepest gratitude to those that have contributed to regenerative economics over the past 20 years. We are here, and we are listening.